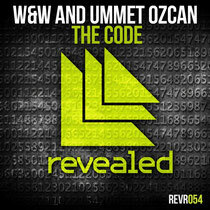 Revealed Recordings premiers their first track of the New Year, W&W and Ummet Ozcan's 'The Code', which entered this week at #1 in the DMC buzz chart. Returning hot off the heels from their 'Trigger', Dutch duo W&W and their homeland counterpart Ummet Ozcan extend their fusion of progressive trance and big room club fuel. W&W's 'Lift Off' has stayed in the overall Beatport Top 10 for weeks and is still holding top 10 in the prog house, so the duo seem to be hitting all the right notes in between multiple genres. As premiered at ADE and featured in Hardwell's Essential Mix, this collaboration sets aside the genre boundaries with intense force, fusing infectious synth hooks and peak stamina into a track possibly capable of maximal floor damage right through to the summer festival season. Check it out below, it’s out February 4.